A plumeria is a fast-growing tropical tree that produces masses of fragrant blooms between March and October. A small tree, the plumeria reaches heights of about 30 feet at maturity. Also known as frangipani, a plumeria is a warm-climate plant hardy to USDA Planting Zones 9 to 11. Although the plant won't tolerate freezing winter climates, it can be planted in a container and brought indoors when the weather turns cold. Plumeria grow profusely in Hawaii, and is a popular flower choice for leis. 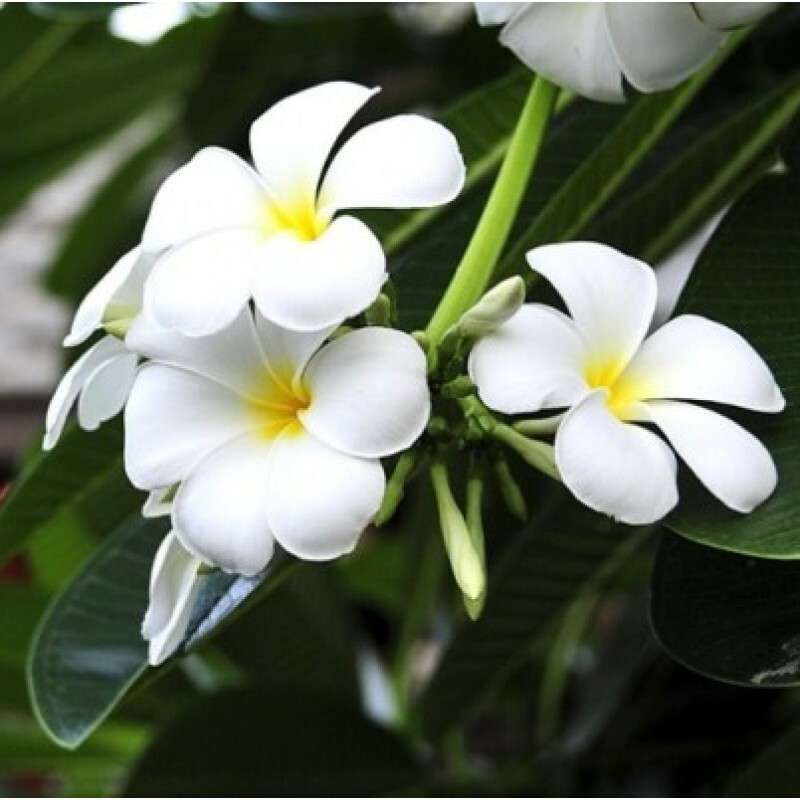 Purchase a healthy plumeria tree at a Plants Guru. Select a compact plumeria plant with even, bright color and a sturdy, straight trunk. Look for evenly-spaced branches. Avoid plants with wilted leaves or poor color. Position the plumeria where the tree will be exposed to bright sunlight for at least 4 to 6 hours every day. Choose a planting location where the soil drains well and water doesn't puddle after a rainfall. Avoid locations where the plumeria will be exposed to heat radiating off a brick or concrete wall. Plant a plumeria in a sturdy container filled almost to the top with a good quality commercial cactus mix or all-purpose potting mix. Use a container at least 6 to 10 inches (15 to 25 cm) in diameter. Be sure to use a container with a hole in the bottom to provide soil drainage, as a plumeria won't do well with wet feet. Water a plumeria deeply, then don't water it again until the soil is dry. Decrease watering when the weather cools in autumn and stop watering completely during the winter months. Resume normal watering when you can see new growth in spring. Feed a plumeria a high-nitrogen granular fertilizer with a ratio such as 32-6-2 every 2 to 3 weeks, beginning when new growth appears in spring. Change to a high phosphorus granular fertilizer with a ratio such as 10-50-10 in early May, and continue feeding the plant with the high phosphorus fertilizer every 2 to 3 weeks until August. Don't fertilize the plumeria after September 1.
plants nature is outdoor, loves full sun & less watering.